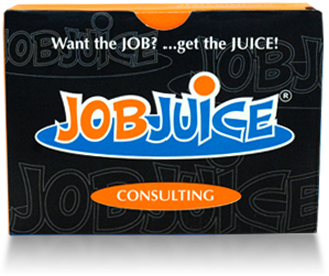 Jobjuice Decks emphasize extreme practicality and efficiency in interview preparation. 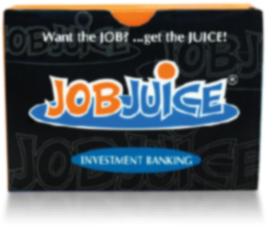 With over 45 color coded and cross-referenced cards in each deck, Jobjuice Decks help you solve the most challenging business cases, marketing situations, valuation problems, and personal fit questions. All the information you need to ace your finance and investment banking interviews is intuitively laid out and cross referenced between the accounting, valuation, capital structure and M&A sections. A detailed collection of business concepts for focused case analysis, strategy alternatives, and business implications, the Consulting Deck encourages dynamic preparation to develop creativity, structured thinking, and solid business sense. 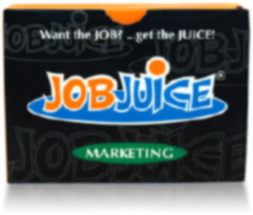 The Marketing Deck is a complete reference guide and job interview preparation tool created for MBAs and business professionals pursuing a career in marketing or business management.